It is turning into winter where I live and when that happens I can always be seen wearing a cozy blanket scarf. I have four now? I think this one is my favorite this year because of the burgundy color. 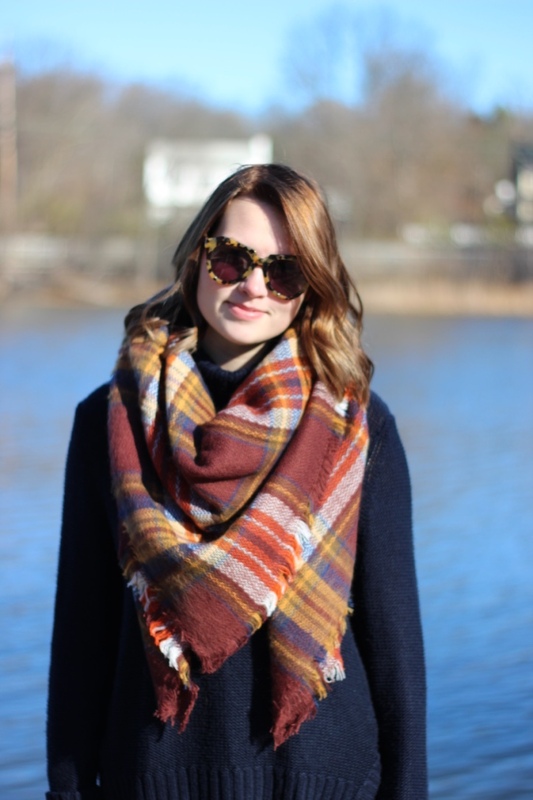 I am thinking of doing a post where I show multiple ways to rock a blanket scarf, let me know if you're interested. The weekend went pretty fast for me, I had so much homework to do for school it was unreal. I am just glad that I get a break this week, only one day of school and two days of work.